Rabbi Uri Gamson of Germany says local Jews are continuing their regular routine, despite attempts to ban circumcision in the country. A rabbi in Germany said on Thursday that local Jews are continuing their regular routine, despite the recent tension over attempts to ban circumcision in the country. 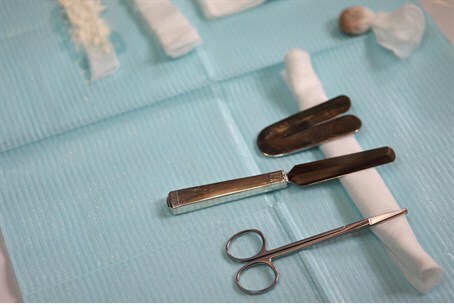 Rabbi Uri Gamson, who heads a yeshiva in Berlin, spoke to Arutz Sheva several days after the rabbi of the city of Hof in Bavaria, Rabbi David Goldberg, was sued over performing a circumcision. “Jewish life here in Germany is quite calm. There is no sense on the street that something is happening, particularly since the Germans do not express their feelings in public,” said Rabbi Gamson, who recently participated in meetings the Chief Rabbi of Israel, Rabbi Yona Metzger, held with German politicians. He added that he believes the crisis will be resolved, saying, “The Germans do not want to be perceived as being anti-Semitic. The only problem which arises now is criticism of non-professional circumcisers. Rabbi Gamson noted that there is a lot of ignorance among the Germans about circumcision.